In the internet age the most important stories of the day get relegated to the back burner once something else has "buzz" or starts "trending" on social media. Once people stop using the hashtags, it's assumed the story is no longer important, and mainstream media outlets move on to find the next thing they think will grab a few eyeballs. It's not in our human nature to prolong suffering - we want to move on from things that cause heartache or pain. When you're toasting "HAPPY NEW YEAR" and being thankful it's 2015 you want to put all the awful things that happened in 2014 in the past. Unintentionally you feed into the very nature of the media machine - okay this can stop being painful now because we've moved on to the next story. Is there a new crisis in some foreign country? A new madman with a semi-auto shooting up a school? We all move on. I'm speaking not from a broadly disconnected editorial perspective here. The Oklahoma City bombing was nearly 20 years ago now. A few years ago I went to the museum they dedicated on the site of the tragedy when I was already in town to cover the final Strikeforce show. I wanted to forget how awful it was. I had tried to forget. Seeing the twisted wreckage from the blast, listening to the tapes that recorded the detonation, looking at the piles of recovered personal effects - it shook me. I was reminded NOT to forget, no matter how awful and painful it is to think about. If those who don't learn from history are doomed to repeat it, we need to REMEMBER history and be proactive about preventing it occurring again. It's the only way. With that in mind here are five hashtags we can't and shouldn't forget from 2014, just because the calendar rolled over from one year to another. The shooting of Michael Brown galvanized the U.S. in 2014 - shaping a long simmering debate about policing tactics in urban neighborhoods around the country. Cold weather and a cold shoulder from the media may have quieted down the protesters in and around Ferguson, but let this hashtag serve as a reminder that "serve and protect" means different things to different people - and until that changes it's an image Ferguson (and Darren Wilson) will forever be branded with. The unrest in Nigeria is still ongoing, with daily acts of terrorism committed by Boko Haram, and villagers forced to take up arms and form militias lest their daughters, sisters and mothers be kidnapped and sold into slavery. It was as unthinkable in 2014 as it IS in 2015, and the original kidnapping that sparked the hashtag had no happy ending. Their story isn't over - it is ongoing - and just because it's not being talked about by major news outlets doesn't mean those girls or ANY missing girls came home. The tag is said to have originated with the murder of Trayvon Martin, and the deaths of Michael Brown and Eric Garner actually resurrected the hashtag from the internet scrap heap. It may fall into disuse again but the meaning behind it remains. You can't make the issue go away, you can't pretend there isn't racism in the United States, and for everyone's sake don't claim to be "color blind." Yes all lives matter - that's not the point - so don't make it about you. It's about people of color being discriminated and devalued systematically in America dating back to the first Europeans arriving on these shores, and codified in print by the three-fifths compromise and Jim Crow laws. #BlackLivesMatter because for so much of this country's ugly history, the evidence is to the contrary. This hashtag is a powerful metaphor for everything I just talked about above. Eric Garner is an individual example of police misconduct leading to an unarmed man dying in a chokehold, but racism/misogyny/intolerance suffocates us nationwide. If we don't have an honest dialogue about the destruction of civil rights at the hands of local law enforcement as well as the invasion of privacy codified by federal anti-terrorism laws, who can truly breathe free? If a black man can be targeted for driving an expensive car, if an Arab man can be targeted for "looking like a terrorist," if checking out a book on civil disobedience puts you on a FBI watchlist, no one can breathe. We are all choking to death in the name of being kept safe. One of the most unintentionally funny hashtags of 2014, created by a misguided attempt by CNN to spark interest in a town hall meeting. Twitter and Instagram users were quick to mock the hashtag with pictures like the one below. It was amusing to see the attempt to go viral blow up in their face, but I don't think we should forget this hashtag in 2015. 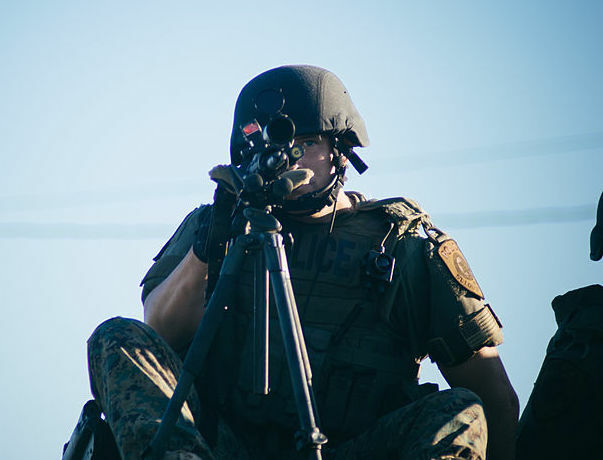 #AskACop why they feel entitled to police without being filmed by other citizens, or why cops shouldn't wear body cameras to prove they're behaving honorably, or why policing tactics haven't changed since the days of Rodney King. There's still plenty left to ask.